Tanzania & Zanzibar Travel Guide – The Discoveries Of. A trip to Tanzania and Zanzibar is a once in a lifetime experience and a true highlight of any travels in Africa. Embrace the beauty of the wild, with abundant stretches of gorgeous landscapes and buzzing city life. 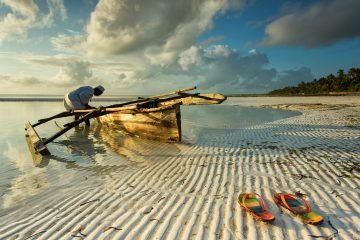 In short, Tanzania + Zanzibar should go straight to the top of your travel bucket list. Dar es Salaam has plenty of character and is a great yet underrated place to explore. After you’re done with the market, head to Coco Beach to chill out and embrace the atmosphere of the locals. You can also visit the Askari Monument or head to Nyumba ya Sanaa, where you can pick up artwork and watch the artist in action. The Serengeti is home to the great migration; an annual spectacle of nature, where herds of animals flock to thriving areas with plenty of food. Book a safari so you can experience the wild of Tanzania. Whether its zebras, lions, rhinos or elephants, there’s plenty of wildlife to keep an eye out for in the Serengeti. If you like a challenge then climbing Mount Kilimanjaro is definitely something you’d be interested in. Do make sure you’re equipped for the cold, potential altitude sickness and general fatigue. The view from the top makes it all worth the challenge. This is a must see place to visit on your trip to Zanzibar. With its winding streets and beautiful buildings, it’s easy to get lost amongst the wonder. It’s a great place to explore or just sit and have a coffee or some delicious food. It’s always great to know the history of the place you’re visiting, and like many places, the history of Prison Island explores a dark past. Prison Island, during slavery, was the location where slaves were detained. Nowadays, it acts a nature reserve for giant tortoises. At Prison Island, it’s important to explore the history but also to embrace the natural beauty it now offers.